Description: Beautifully presented four bedroom home on landscaped site with panoramic views of the surrounding countryside. This fine home measuring approximately 2300 sq. ft. (255 sq.m. ) also has the benefit of several outbuildings/garages and is set in a location with easy access to schools, villages and recreational facilities. Four bedrooms, two reception rooms, five bathrooms, house, detached, garden, patio, sun room, garage, village, central heating, very good decoration. 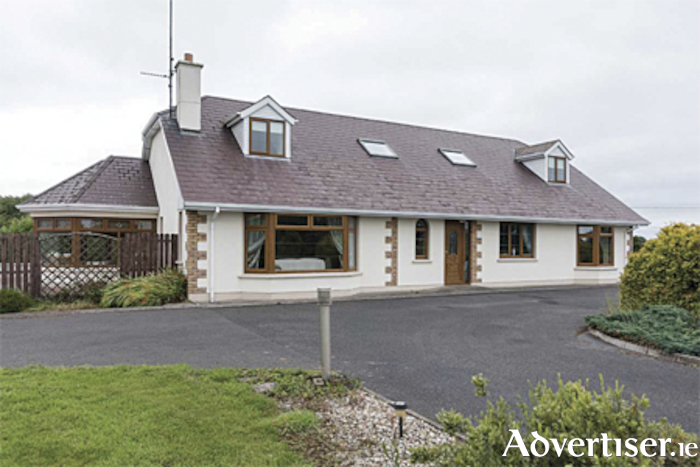 Agent for this property is Helena Kenny of Sherry Fitzgerald and she can be contacted on 086-8119190.